International Print Biennale Call for Entries. Now calling for entries, the 2016 Print Awards are open to all British and international artists working with print in its widest interpretation, from traditional to contemporary print processes, including 2D, 3D, video, installation and site-specific work. The Print Awards are the centrepiece of the International Print Biennale. 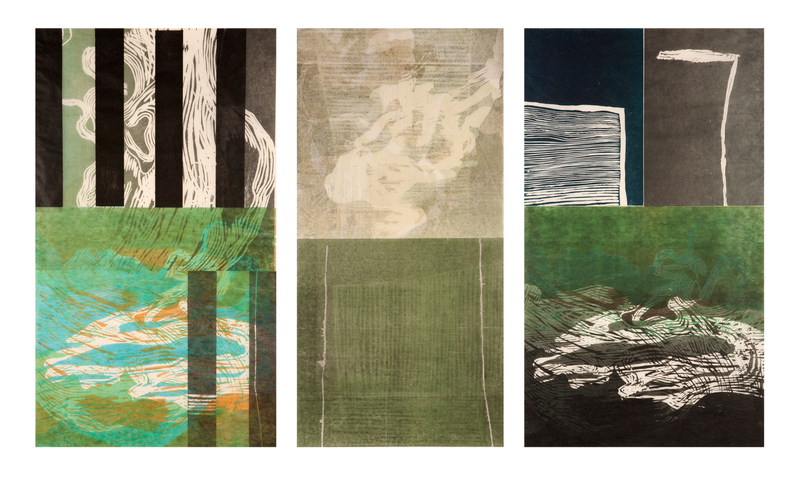 Created by Northern Print in 2009, the Biennale showcases the broad spectrum of contemporary printmaking across the globe, through an extensive programme of exhibitions, events, activities and an international symposium, held across the North East of England. It is the only event on this scale for printmaking in the UK, and since its inception has established itself as the key event for print in the international arts calendar. In 2014, the third edition of the Biennale’s Print Awards welcomed submissions from over 740 artists from 42 different countries. 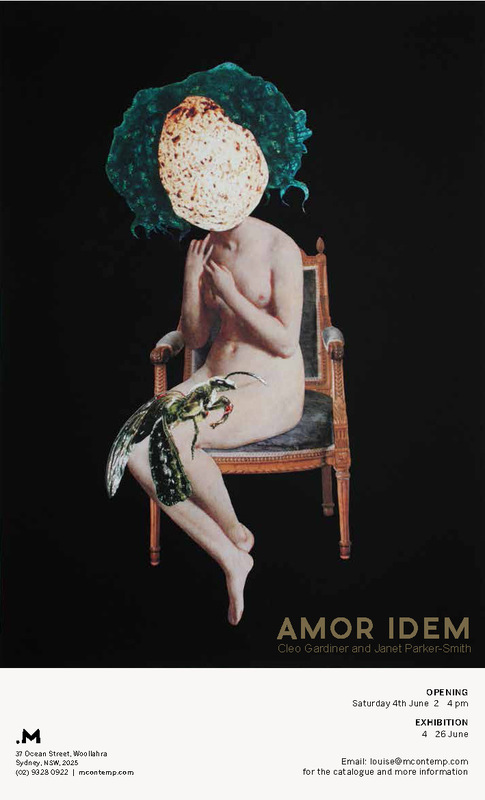 The International Print Biennale exhibitions across 25 venues attracted over 130,000 visitors. More information and entry form here. 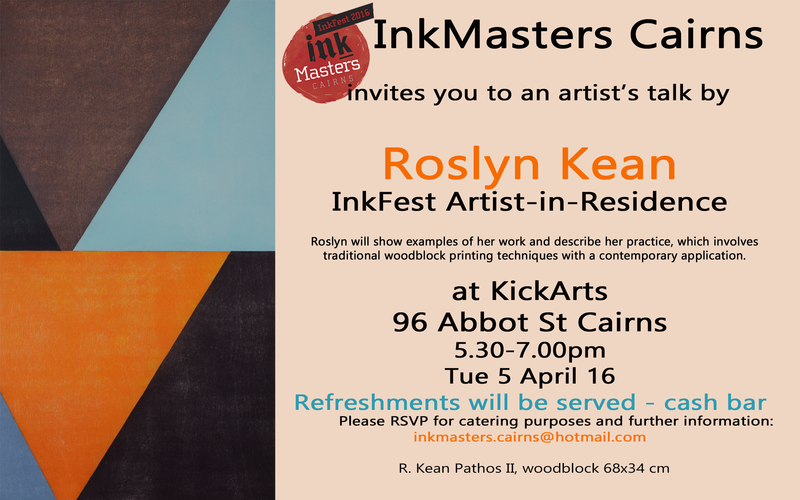 Roz Kean Artist’s Talk, Kick Arts, Cairns. Sydney Printmakers Exhibition at The Art Vault, Mildura. 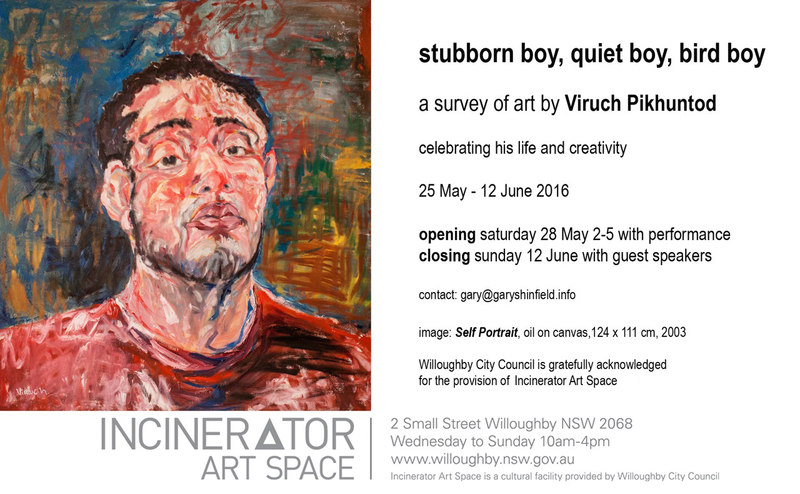 Last opportunity to see the Sydney Printmakers show at Artsite Gallery. 165 Salisbury Road, cnr St Marys Street, Camperdown. 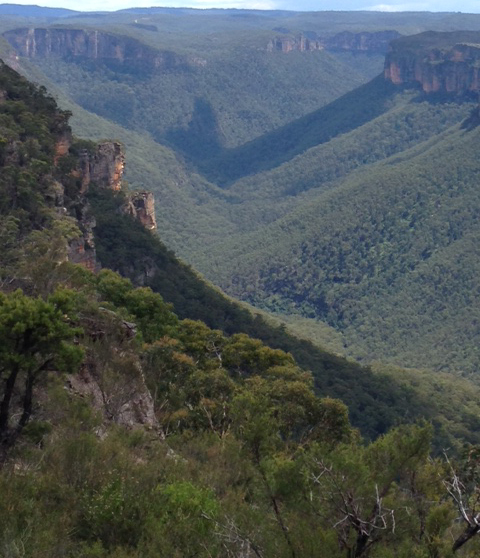 Workshop with Gary Shinfield and Irene Conomos in the Blue Mountains. Explore lost gardens, walk through native bush trails and create. Develop an artist’s folio in a newly established studio located in a botanic garden in Medlow Bath. The inspiration for this workshop will be the secret gardens on site and a guided walk through adjacent bush land. In the studio you will develop a folio of images based on your responses, an exploration through drawing, printmaking and photography. You will work with two artists with many years experience in their respective fields of printmaking and photography. To receive workshop details and registration information please enquire on the above contacts. For accommodation options contact Gary Shinfield. 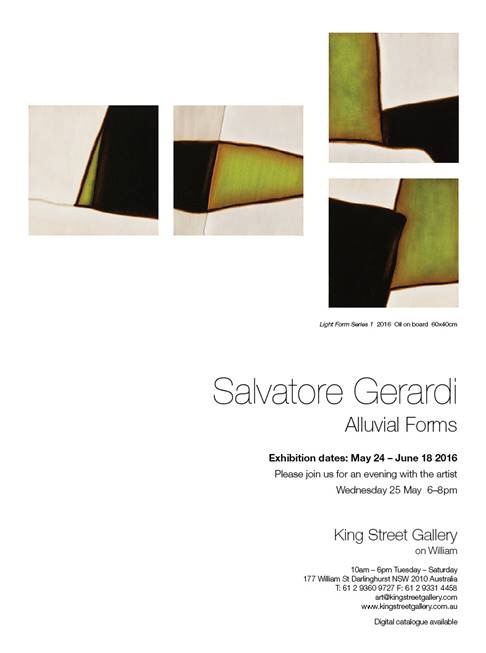 Here is an essay by Karen Ball on Gary Shinfield’s exhibition. Of Site and Connection – reflections on a personal journey. Gary Shinfield is known for large printed works on paper which inhabit a gallery space like wandering explorers, not lost, just contemplating the terrain. This artist records topographical, archaeological and fleeting human forms with a unique gestural mark but his overriding concern is connection to a site on a physical and spiritual level. He has traversed much of Australia and several overseas countries pursuing that goal. The artwork made from each of these expeditions intertwines to form an immersive visual diary. In 2010 Gary Shinfield spent two weeks printmaking with Basil Hall in Skopelos, Greece. Intrinsically drawn to the local rock formations and remnant buildings, the term ‘enclosures’ was introduced by the artist to describe their physical and emotional presence – a trope that subsequently appeared and reappeared in the evolving language of the print series. Unknown to him at the time, the printing matrices, together with flotsam and jetsam gathered from the Greek shoreline, would become something of a palimpsest when transported home to Australia. Shinfield then worked further into the original plates and made additional ones as part of an ongoing journey. Ensuing circumstances would take him and his treasured collection of creative ephemera to different sites and further connections in NSW. The etchings, woodblocks, prints and found objects which emerged from Greece were physically or emotionally carried with him to each location. In late 2013, while sitting on the veranda of his brother’s home on the family property in Eungella, northern New South Wales Shinfield continued carving woodblocks. Below the veranda, the ever present sound of the Oxley River accompanied him as he worked and permeated his creative consciousness. Aware this period of time was finite, his mark-making nourished through immersion in the emotional and physical presence of family, Shinfield proceeded to record it without words. He soon became aware there were parallels with the familial, emotional enclosures of Eungella and his earlier interpretation of remnant, archeologically significant building foundations in Skopelos. He wondered, however, if his depiction of ‘enclosure’ co- existed with images drawn from nature or presented an ambiguity between harmony and separation. He questioned whether the structures he seemed compelled to represent were quiet places for contemplation or impervious cells from which escape was difficult. Paradoxically, through the artist’s compositional integration and layering of enclosure motifs with meandering water courses (a life force) security, renewal and protection are suggested to the viewer. 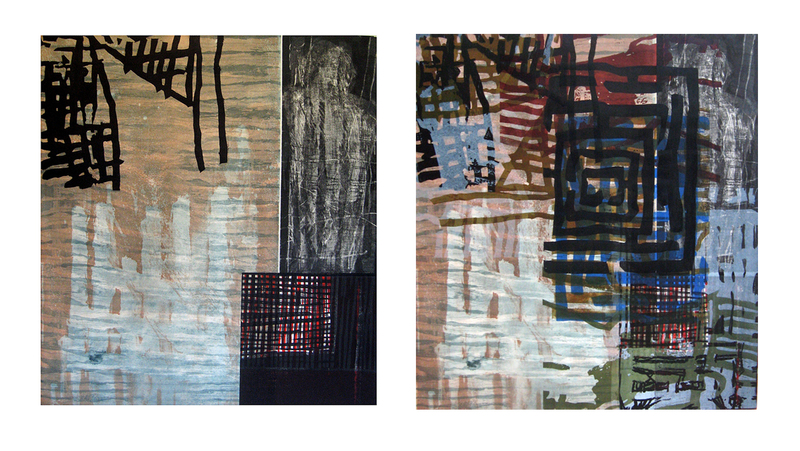 The series titled River and Enclosure 1-16 represent the first ‘river site’ in the body of work made for the exhibition, Two Rivers. The following year saw a change of personal circumstances, another site and another water course – a pool in Medlow Bath, the Blue Mountains, NSW where Shinfield relocated in early 2015. 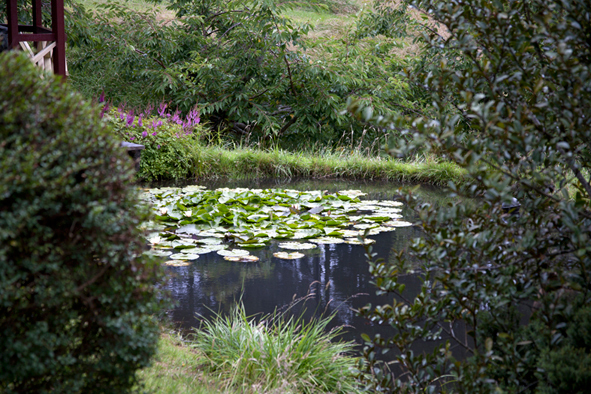 The pool is part of a beautiful, vast garden with numerous paths. Surrounded by natural bush tracks, this tranquil, pristine location offers abundant space, the opportunity for walking and contemplation. While the series, Maze, made by Shinfield in Medlow Bath, makes some reference to visual and natural phenomena of the location, it is overwhelmed by a sense of impending loss. The ‘pool’ becomes the ground on which complications of the maze are imprinted. This chapter of Shinfield’s work physically and psychologically traces a ritual, daily walk overshadowed by emerging circumstances. Where the earlier enclosures suggest the possibility of sanctuary and protection, the Maze series signifies loss and letting go. Pathways are presented as impenetrable obstacles to their maker. Shinfield also made ink drawings at that time with dominant figurative elements and a number of lino blocks based on them. The drawings have an unintentional, visceral connection to the preceding chapters of his journey. Their spare, stark quality reveals much about love and loss. The final prints made in this series, titled Game and End Game, overtly reference the human condition and an ending where the outcome is already known. This small group of final powerful yet contemplative works in the series are a nadir – the point of letting go. Each gently touches time and location. Geographical landmarks are anthropomorphised to suggest phantom figures moving through and beyond the picture plane while the notion of journey connects each work to the other. The use of semi-transparent, hand-made Chinese paper and ‘ghost prints’ for which Shinfield is known intensifies the ephemeral, fragile quality of the work and is analogous with the fleeting moment, impermanence and passages of life. His prints on Chinese paper, routinely exhibited in a free falling manner (without frames), identifies them not only as precious art objects but imbues each with the ability to move in the gentle current of air generated in the gallery space. That is, they are at one with the viewer. The concept of ‘reverie,’ through which an individual is able to descend deeply within himself, savour solitude and reconnect with personal history, can be said to inform the work of this artist. Gary Shinfield navigates through a personal landscape of place and time but leaves the pathway open for us to follow. Two Rivers, not only evokes deeply remembered emotions for its maker, it finds a common thread called compassion, and holds it.